Forgiveness can be an incredibly challenging and painful process. Even when you want to forgive the person or group who wronged you, simply remembering the pain they caused can be enough to halt any good intentions in their tracks. Some hurt is so deep, so raw, and so constant that it can seem impossible that it will ever heal well enough to even consider forgiveness. Even if you know that the resentment is toxic. Even if you know it’s killing you, or making you into someone you don’t want to be. Even with the best of intentions, true forgiveness can seem impossible. 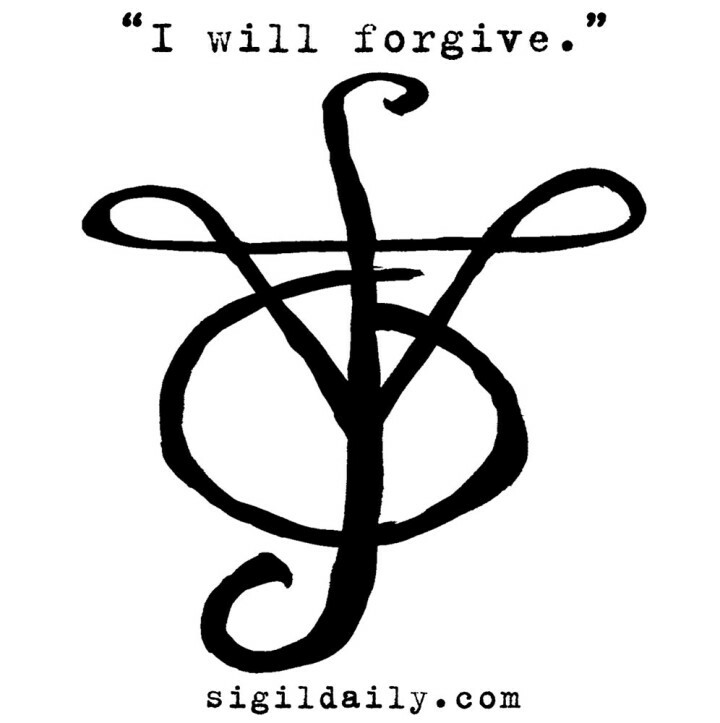 This sigil helps to clarify the intention. It’s intended to act as a focus for that unsolvable tangle pent-up emotions, and a means to provide an purposeful channel to purge them, bring them into the light, process them and help the ache inside heal.